Are you ready for a Tuesday challenge? 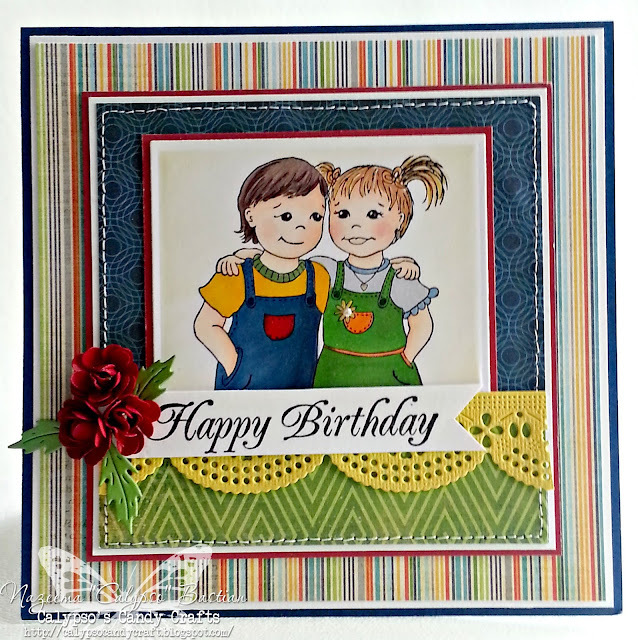 Today at SweetStamps, we are asked to use a "RAINBOW OF COLORS". For my card today, I am using Tristin and Elizabeth lil Sweeties. I colored this gorgeous image with my Copic markers. The patterned paper is from Echo Park, not sure of the name, but it worked perfectly with this image. I created my own little rose clusters, using the Rose die by Cheery Lynn Designs. The leaves are from the Flower Embellishment Kit 2 and the border die is also from Cheery Lynn and is one of my all time favorites. Here is another straight on view of the card. Is that not the cutest image? My best friend, had a twin brother and it reminds me of them. They have a birthday coming soon. Sweet card! 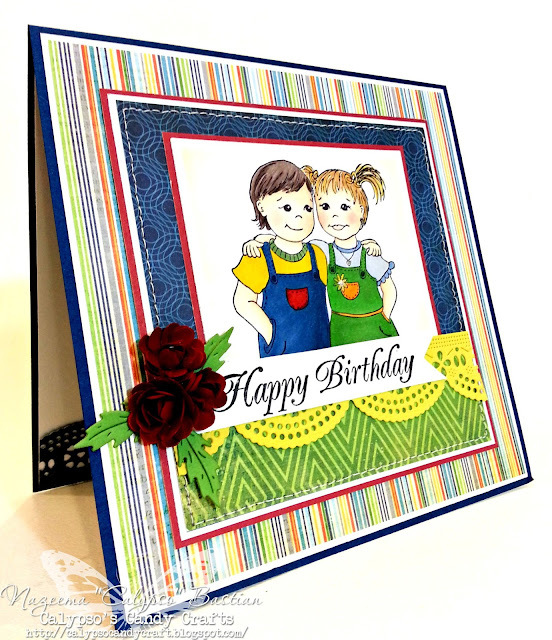 Thank you for joining our Happy, Happy Birthday Challenge at The Paper Nest Dolls. Beautiful coloring on Tristin and Elizabeth. Love the bright colors and variety of DP you used.